You can place your LiveChat directly on your Zendesk Helpcenter page. 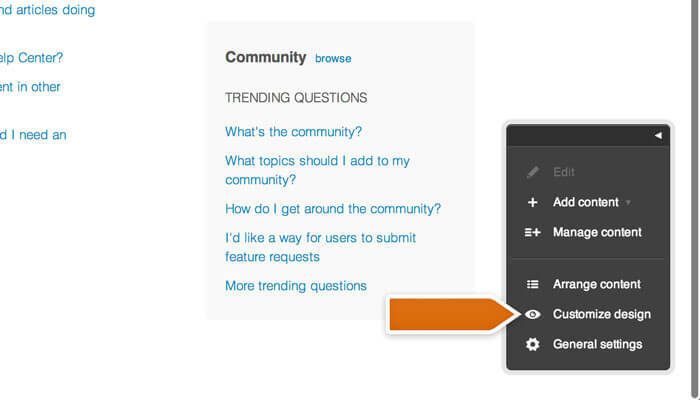 This way, you will be able to see who is on your Zendesk page and answer chats from visitors. To place LiveChat on your Helpcenter page, go through the following steps. Log in to your Helpcenter and click on the Customize design button in the bottom right portion of the screen. Next, click on the Edit theme link. Open the JS tab. You will need to copy the LiveChat code here. To get the code, log in to LiveChat and go to the Code section. Copy the code found there without the lines. Paste the code at the end of the JS section, click on the Save button and then select Publish changes to finalize. From now on, you will be able to chat with visitors and track them on your Helpcenter page. 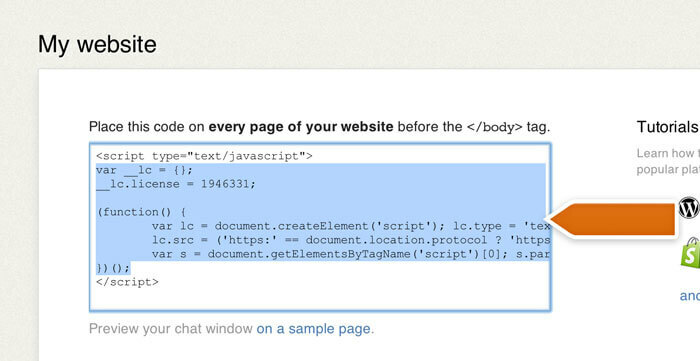 To show visitors that live chat is available, you can also add a chat button to the page. Log in to you Helpcenter and select Customize Design. Click on the Edit theme button. Next, you need to get the chat button code. Log in to LiveChat and go to the chat button section to get it. Select the button you want to use and click on install. Copy the button code and paste it in the HTML: Home page section of your Helpcenter. Hit Save and then Publish changes to finalize. 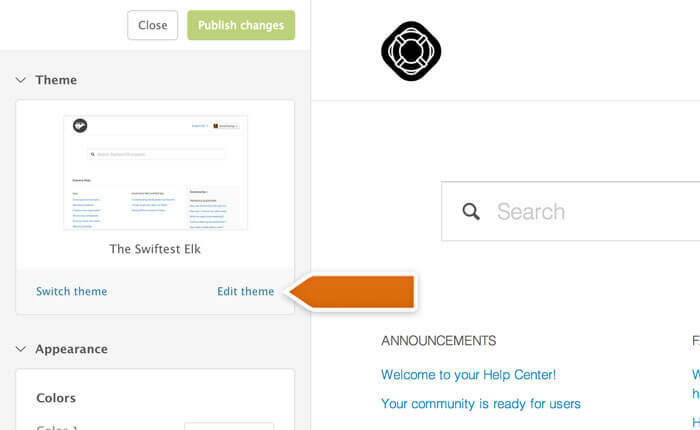 The button will now appear on your Helpcenter page. To learn more about button customization, check out the Chat button guide.